Vietnam is a popular country for backpackers and travelers in Southeast Asia. Many backpackers spend some time in Vietnam during their Southeast Asia journey. The country has an interesting culture, delicious cuisine, and a fun nightlife scene that appeals to all types of travelers. It's also a relatively cheap country to visit with no shortage of budget accommodation and cheap restaurants and entertainment options. If you're headed to Vietnam for the nightlife, and want to find hostels that are social and fun, then some of the most popular party hostels in the country are listed below. How much do hostels in Vietnam cost? 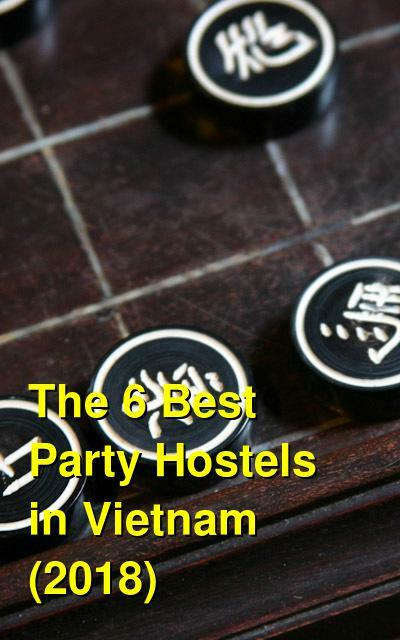 What are the best party hostels in Vietnam? This hostel is great for anybody looking for a social and fun place to stay in Hanoi. It's located right in the middle of the city's Old Quarter and it's one of the most popular hostels for backpackers in the city looking for a good time. The hostel has a famous on-site bar that hosts regular parties and has almost constant activities. The hostel is also close to a variety of street food vendors and bars. Guests can choose between dorms and private rooms. A free breakfast comes with each room and all of the rooms are air-conditioned, ensuring a comfortable nights sleep. The hostel also has an on-site restaurant that has good, affordable food. There are a variety of Vietnamese specialties on the menu and regular happy hours to keep prices down. Common events include quiz nights, beer pong, and dress up nights. 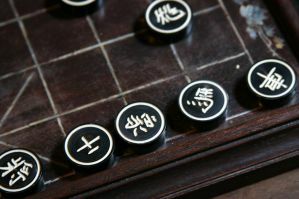 The hostel also has some more standard amenities including a travel information desk, walking tours, airport pickups, and a common area with a pool table, foosball table, and plenty of places to relax. If you're looking for a social and fun place to hang out in Hanoi then this is it. Nha Trang is a popular beach destination in Vietnam that appeals to many young backpackers looking for a party. The town is known for its party scene and "booze cruise" which is a day long boat trip that involves mostly drinking and partying. The town itself has many cafes with live music and fun activities. One of the most popular party hostels in Nha Tran is iHome Hostel. The hostel is located in the middle of everything and it offers guests a social and fun atmosphere. There's an on-site bar that's popular with the backpacker crowd and you'll find plenty of people hanging out, drinking, and partying there. Guests get one free beer when they arrive and there are daily events at the bar. The hostel also has a variety of the standard amenities for guests including a buffet breakfast, luggage, storage, personal lockers, etc. The Hideout is one of the most popular hostels in Ho Chi Minh City for backpackers and young travelers. It's a social and fun place to stay with very clean and basic rooms at a cheap price. The hostel is large, with 90 beds in total and there are an additional 7 beds in their sister hostel "The Hangout". The Hideout Bar is next door and there's a happy hour every day between 8 pm and 10 pm. Drinks are cheap and the crowd is usually fun. There's also a pub crawl that leaves most nights at 11 pm. They also have happy hours, free drinks from 7-8pm, and nightly events including pub quizzes, beer pong tournaments, pool, neon parties, ladies nights, and DJ's! This is a party hostel, so if you're looking to sleep, it's best to stay somewhere else and head to their bar at night. The dorms can feel a bit cramped and crowded, but it's easy to meet people and there's always someone heading out on the town. This is another branch of the Central Backpackers Hostel chain. It's a good, affordable option that is perfect for anybody looking for a party. The hostel has a lively atmosphere and hosts regular parties that last until about 11:00 pm. It's the perfect place to meet new people and have a good time. The staff here are great and will do everything they can to make sure you have a good time in Hanoi. There's a travel information desk where you can get all of your travel questions answered. They'll help you book any tours or transportation that you might need. The hostel has both dorms and private rooms to choose from. The reception is open 24 hrs a day and there's always someone around if you need them. Other amenities available through the hostel include free breakfast, free walking tours, free wi-fi, and free computers. Nexy Hostel is located in the heart of the Old Quarter in Hanoi. The hostel has a fun and social atmosphere where it's easy to meet other travelers and make some new friends. The hostel's style blends old world Vietnam charm with a contemporary design making it a comfortable but charming place to stay. Many hostel guests head straight to bar after a long day exploring the city. It's really easy to meet other travelers and swap travel stories. There are plenty of social places to relax and food and drinks are affordable. The hostel offers a variety of different rooms including both dorms and private rooms. The beds are comfortable and each has its own privacy curtain and reading lamp. There are also private lockers available where you can secure your belongings. If you're on a particularly tight budget there's a 14 bed mixed dorm room which is very affordable and social. Other amenities available at the hostel include free wi-fi, free breakfast, luggage storage, female only dorms, a tv room, pool table, free computers, and airport pickups. Della Boutique Hostel is a trendy and fun place to stay in the middle of Ho Chi Minh City. It's a great option for budget travelers who are looking to have a good time. The hostel is a great location near great nightlife, but there's also a popular rooftop bar - ZUMA - that has great views of the city. The hostel is run by travelers for travelers so they know what you need to be comfortable and have fun. They want to show you what a fun city this is, and they go out of their way to make sure you have a good time. The atmosphere may be a bit more subdued than your typical party hostel, so if you want to party hard, you'll probably have to go outside of the hostel, but this is a great place to meet other like-minded travelers. You can start your night here, meet other backpackers, and then head into the city to see everything it has to offer.